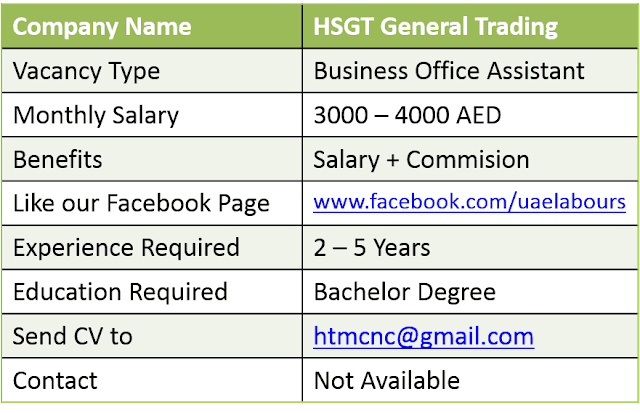 A General Trading company based in Dubai Al MAMZAR Area is looking for a Female Office/Administration assistant on a full time basis on very immediate basis. 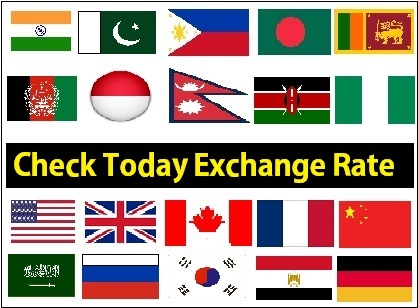 1: Preference who already have Husband/Father Visa. 2: Should have UAE experience 2-3 years. 3: Should have excellent communication skills, social media management & website skills will be an added advantage. 4: Should have good typing speed with good knowledge of MS WORD and EXCEL. 5: Assist in General Office administration work calling customer & suppliers, communicating with courier companies etc. Preparing Quotations/ Invoices. Follow up with payments etc. 6: Perform data-entry, documentation, printing and filling duties. 7: Maintain a proper and user friendly filling and document control system for recording and tracking of all documents. 8: Search on interest for potential leads and sending emails to them. 9: Candidate having experience in outdoor sales such as trade shows or weekend events will be added advantage. Excellent commission will be offered on sales through email/calls. We will prefer candidate who are living in nearby areas. Serious candidate who are ready to join immediately only apply. Please do mention your current and expected salary. 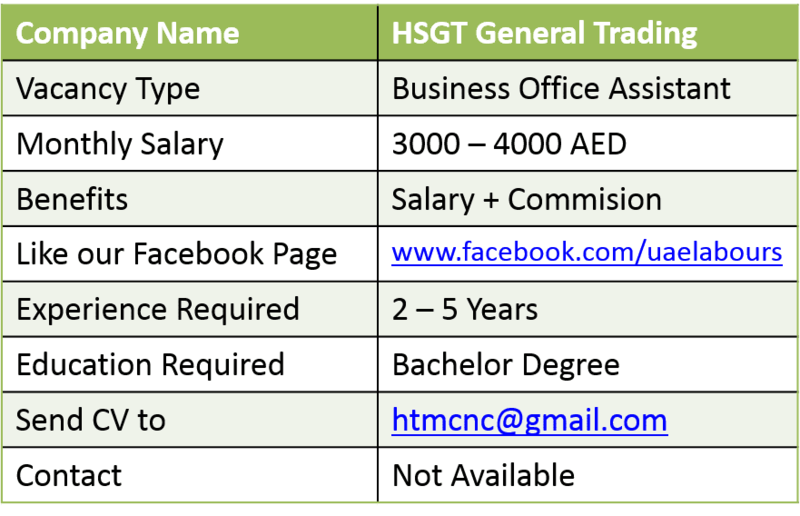 Benefits: As per UAE Labour Law, or will discuss at interview table. Our office is Opposite Al MULLA plaza and nearest metro is Stadium metro station Green Line (15 minutes walk).